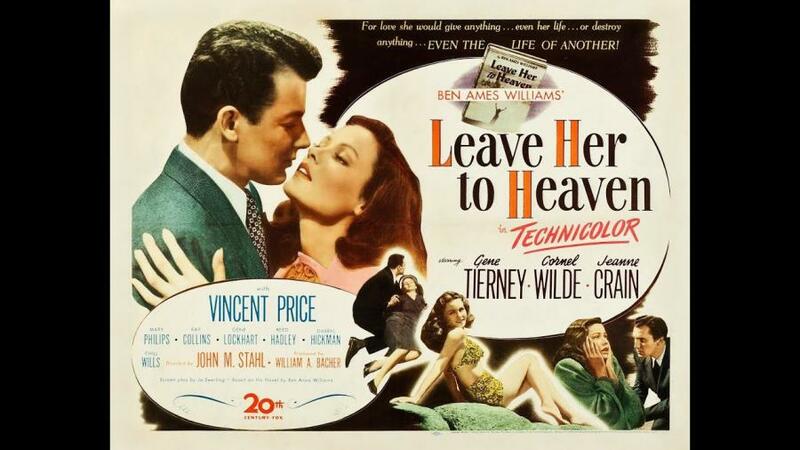 Join us for this Tuesday Movie Matinee: Leave Her To Heaven (1945) starring Gene Tierney, Cornel Wilde, Jeanne Crain and Vincent Price. A stylish psychological thriller. A writer falls in love with a young socialite, and they are married soon after, but her obsessive love for him threatens to be the undoing of both them and everyone else around them. Drama, Romance, Film-Noir. Not Rated, 110 minutes.